I’m running a meeting this week where I’v asked all people involved in children’s work to get together. I initially want to take the ‘temperature’ of that area of the church so I know what my next step will be. I decided to put together a more creative way of getting to find out what people really feel about the ministry. So I am using several models/ideas and mashing them all up. The main aim of the meeting is to find out what the volunteers see of the overall ‘win’ of the ministry. This idea of finding the win is from the book Seven Practices of Effective Ministry. What would the church & community say are our strengths? What needs are we meeting in the church & community? The hoped outcome will be a clear idea what Win looks like in the children’s ministry with a few glaring things in each of the SWOT analysis categories that can be celebrated (SO) and addressed (WT) to make the Win happen each week. So overall i’m using the some of The World Cafe philosophy with SWOT, mindmaps and Whack on the side of the head. I seem to be in a constant battle with productivity and I just spend far too much time in-front of my computer mostly doing admin stuff (this is my day so its OK). So I decided over the last week or so to really try to get on top of my time and productivity. I therefore thought I’d share what I’m up to as it may help some other poor youth worker who spends too much time on the wrong stuff. There are lots of lots of good ideas and no end of people will tell you their great idea that you should do! But once you have a vision and strategy, you then have a measuring rod for all these good ideas. You can then say ‘this is a great idea, but may not be the right idea for our ministry at this time’. 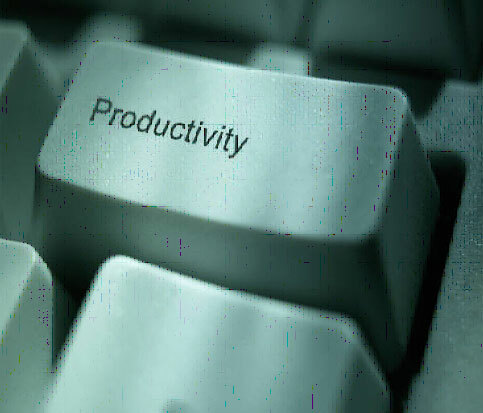 This can save you a lot of time and help you be more productive on the right stuff. What’s really worth my time? I got this idea from a post by Tim Schmoyer that asked ‘What is REALLY worth my time in student ministry?‘ This is a challenging list to make, everything that you do in your ministry, write it down and ask is it really worth doing. Tim asked ‘Is it life changing‘, I kept that question but also related by to the ministries vision so also asked is it ‘missional‘? ‘Does it help people to go DEEP (into God) and/or WIDE (into the world)? This has helped me to start to see what things I do that I can maybe drop or give to others. For example do I really need to do flyers? Do they help people to change there lives, go DEEP and/or WIDE or is it a missional activity….eeeeerrrrr…no! Some stuff is no but you still have to do it like money stuff…O well. It also highlights stuff I need to do more of like meeting with young people one to one. hopefully 4-5 hours a week doing admin stuff, in reality probably a bit more. Thats a good start to looking at how my week could pan out, so I’m not doing too much admin( worth my time?) and more face to face (worth my time). So I put into my little time map that above list. Iv also started to use FreeMind to mind map my To Dos. I use DEEP and WIDE are guides and try to keep my To Dos liked, so it always comes back to Where I am heading and is this a good To Do or a Right To Do? I am also using FreeMind to be more creative with other parts of my ministry and to clear my head! This is the ‘vision’ I see panning out for the youth work/ministry at Malmesbury Abbey. Its based on the our core values of youth work: voluntary participation, empowerment, equality of opportunity and informal education. And a few ideas that I have stolen from other book etc. I really like DEEP & WIDE from Dare2Share , I came across it through Life in Student Ministry but I found that their strategy for implementing DEEP & WIDE would not translate well into my context so I ‘borrowed’ the terms but left the strategy! DEEP & WIDE helps us know WHAT we are. I made us of some of the Purpose Driven Youth Ministry first because it makes you ask WHY. Then the ‘target audience’ part makes you ask WHO. The TA I think is far to rigid and we live a much more fluid world then I think TA gives credit but I use TA for big brushstrokes. are we trying to reach? will we try to do this?